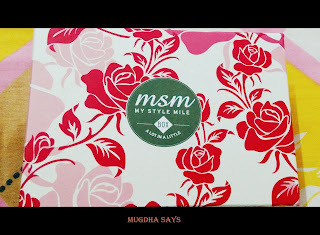 I received the My Style Mile (MSM) 'Rose Limited Edition' Express Box about five days ago and since than I was trying to write about it. 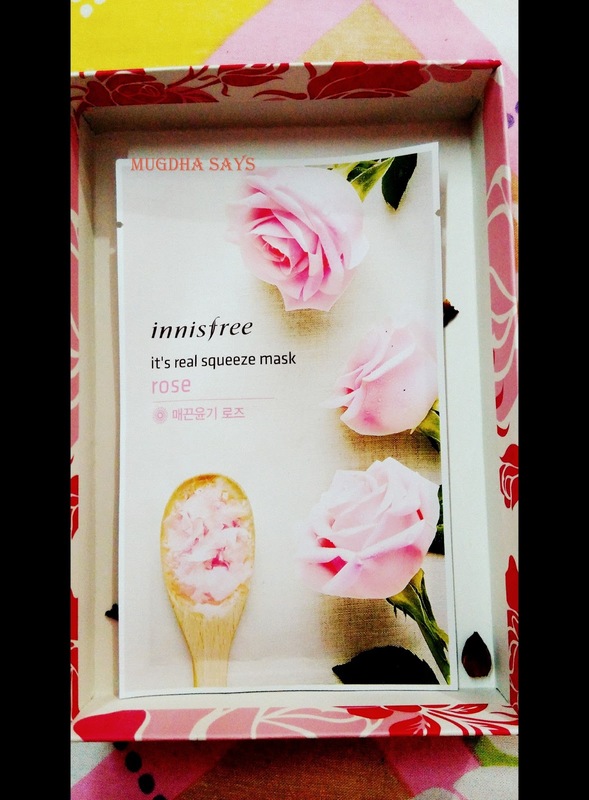 First I thought it would be just an unboxing post but since I am able to use the product, I can give you guys a mini review as well. It is their 1st birthday box and the packaging is super cute with beautiful rose print on it! As the theme suggests, the contents of the box are also rose based ones, at least majority of them! I also purchased something from their shop, so that item was also there in my box. So lets begin with the box first then I'll share about the product that I ordered to pamper me in this fall season. 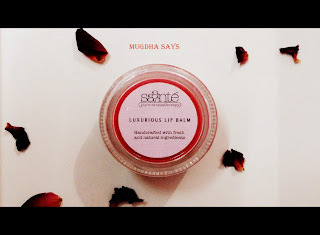 You may comment below about the review and how do you like the products or not and also leave your comments with #MugdhaSaysFall hashtag at Twitter, Instagram, Facebook etc so that I can read your comments. 1) Innisfree; Squeeze Mask - Rose(20 ml) : I love sheet masks. They are no nonsense, easy to wear and easy to remove masks. I have used green tea and cucumber variant of Innisfree in summers and that left my skin, super cool. Now I used the rose one and man it's strong. The fragrance is bit too high for me but I love my afterwards skin. Completely fresh and lightened.It costs around INR 100/- and it's really worth it. 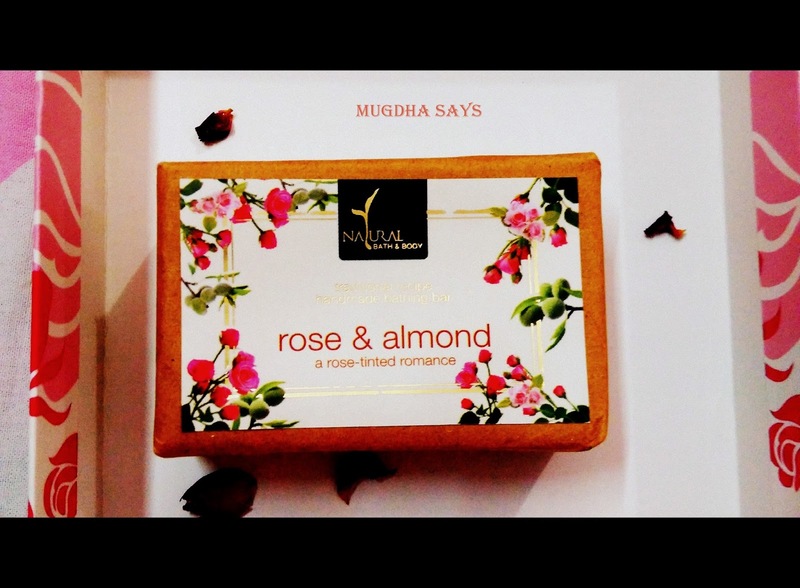 2) Natural Bath & Body Rose and Almond Soap (125 gm) : Very sensuous rose fragrance, heavenly and quite long lasting.Even before opening the wrapper,the fragrance spreads all over the room. 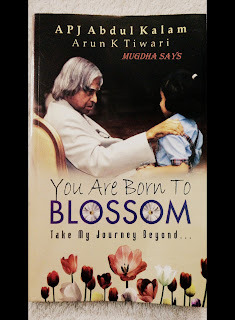 Cost INR 175/-. Beautiful baby pink colored soap, along with dried rose petals embedded in it. It hydrates the skin well. Best about it is that it is preservative and cruelty free. 4) Saante Orange Essential Oil : This is the second product from Saante and it costs around INR 300/-.I like to use essential oils. This one is hand crafted with fresh and natural ingredients. If you put it on your table, less then half minute, you would started to feel autumn around you. 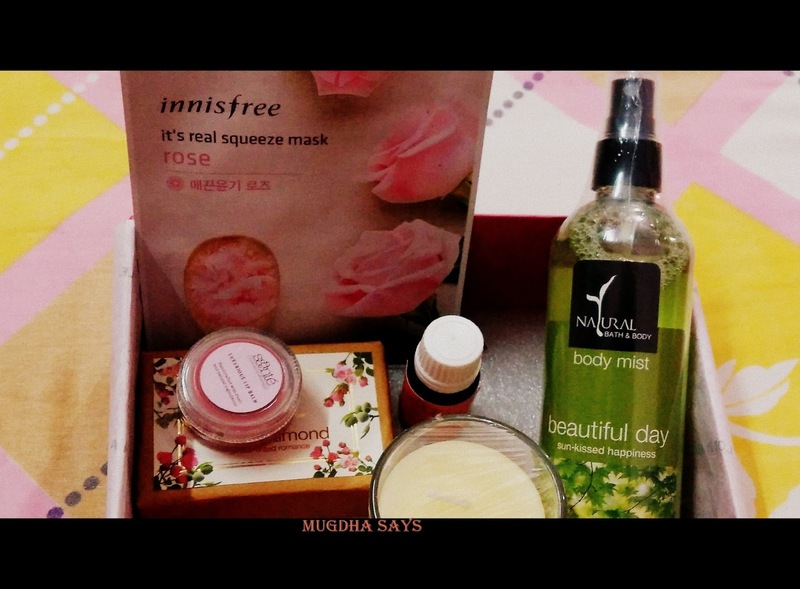 Orangy scent is yum..
So,these are the products which I received in the October MSM Box. Final Thoughts : I really liked all the products from this month's box. Let me know your views about this October MSM box. 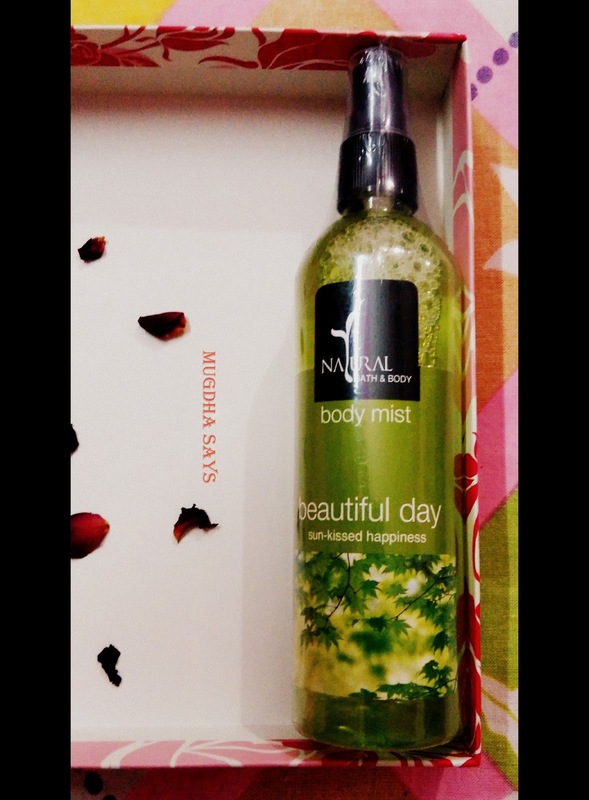 Finally the sixth item in the box, that I purchased from the MSM shop is a body mist from Bath and Body. It's from their natural line and the name is Beautiful Day - Sun Kissed Happiness. It cost me Rs 325 and you can purchase it here. They claim: Our Beautiful Day Body Mist manages to captures a hint of happiness and a dash of sunshine in a bottle! Perk up your mornings with a fragrant burst that blends floral top notes with nuances of fresh zesty-ness. 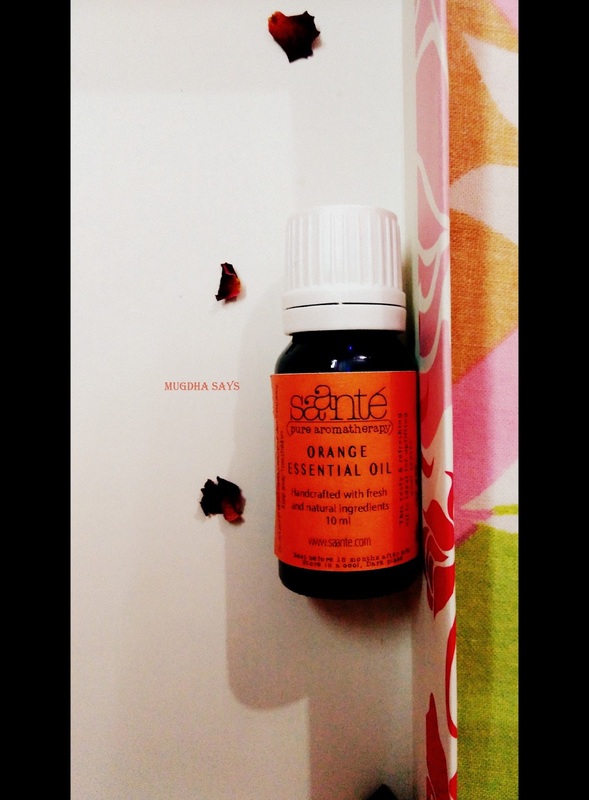 This gorgeous aromatic expression completely envelops you, to ensure that you’ll have your sunny side up, all day long! 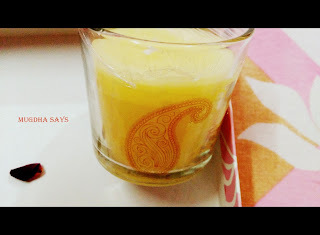 My Review: I can give 50 thumbs up to their claim :) after wearing this, you will feel that you are crossing by a flower shop or better by a garden with full of flowers and earthy fragrances :) I want this to be my signature fragrance... always! 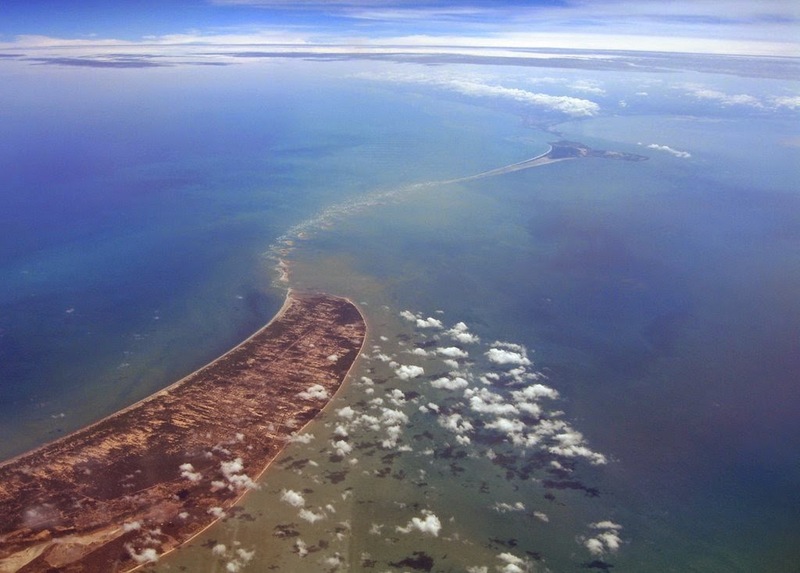 Well we have a rather long post here :) thanks for being patient and thank you for reading it!